(Brooklyn, NY – January 24, 2017) During the era of Black Lives Matter and the historic benchmark of Restoration’s 50th Anniversary, The Center for Arts & Culture teams up with the Cultural Museum of African Art to present Brooklyn is Africa: A Borough of Inclusion; A Continent of Invention to exhibit 50 rare African art pieces and artifacts from the collection of co-curator and founder at the Cultural Museum of African Arts Eric Edwards, son of Bedford Stuyvesant, and co-curator Hollis King, acclaimed Creative Director at The Center for Arts & Culture. This exhibition will occur at the Skylight Gallery at the Center for Arts & Culture, 1368 Fulton Street, Brooklyn, New York from February 10th to April 28th. 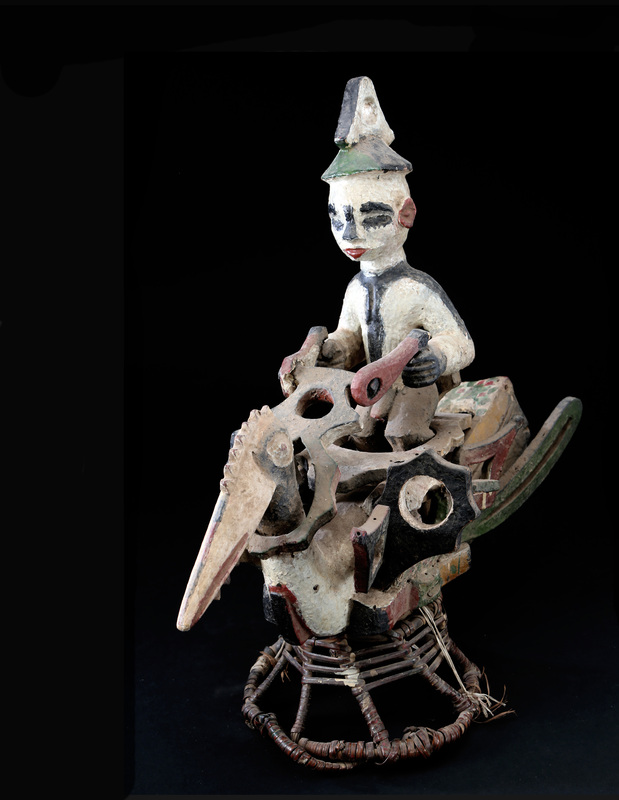 The exhibit will present pieces as diverse as a woman’s head carved out of stone dating back 4,000 years to the Nok Dynasty (Niger) to a carved wooden royal coffin to Ebo Ceremonial Dance Dress. The exhibit highlights African art as integral to African life. The universal ethos of African art positions art as a fundamental part of culture: from tools to utensils to dress to musical instruments; art is never created for art’s sake. The 2,500 piece collection has taken Edwards 45 years to amass and represents all 54 countries in Africa with artifacts dating as far back as the Nubian Empire. To host a VIP event at the Skylight Gallery with a docent-led tour and conversation with Eric Edwards, collector and Hollis King, curator, please contact Barbara Bullard at bbullard@restorationplaza.org. VIP Skylight Gallery Tour and Talk is subject to gallery availability. The Center for Arts & Culture is a dynamic campus of world class visual and performing arts. We preserve artistic and cultural legacy, promote social justice and democratic ideals, and present global stories that matter, inspiring the next generation of art-makers and audiences. Bedford Stuyvesant Restoration Corporation (Restoration), the nation’s first community development organization, partners with area residents and businesses to improve the quality of life in long-blighted areas of Central Brooklyn. Our goals are to attract investment, improve the business climate, foster the economic self-sufficiency of families, enhance family stability, and promote the arts and culture. Through these activities, we seek to spur resident’s economic stability and transform Central Brooklyn into a safe, vibrant place to live, work and visit. Restoration was founded in 1967 with the bipartisan support of New York Senators Robert Kennedy, Jr. and Jacob Javits. Since its inception, Restoration has brought over $600 million in public and private investments to Central Brooklyn. For information please contact Barbara Bullard at barbara@b-bullard.com, The Center for Arts & Culture, Bedford Stuyvesant Restoration Corporation.